Twenty-three-year-old Mohammed Abdel Fattah threw three rocks at Israeli-plated cars on the morning of April 3, 2019, near Hawara, a village in the northern West Bank, B’tselem said. After one of the rocks hit a settler’s vehicle, shots were “apparently” fired from inside it, the report said. 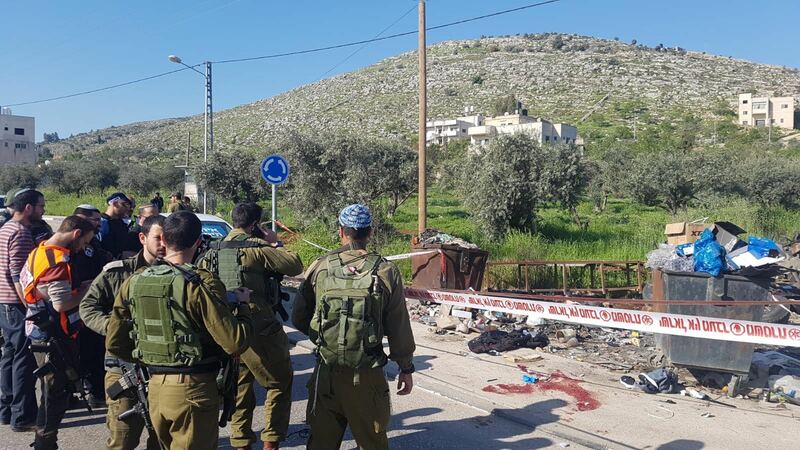 The settler, Yehoshua Sherman, then exited his car, approached Abdel Fattah, who was “crouching” near dumpsters, and opened fire on him, it added. Another settler then exited his truck and approached Sherman, a right-wing political activist, and together, the two fired several more rounds at Abdel Fattah, who was “lying wounded on the ground,” the report said. Military jeeps subsequently arrived on the scene and used stun grenades to disperse crowds of Palestinians that started to form in the area, it added. Abdel Fattah was later transferred to the Beilinson Hospital in Petah Tikva, where he was pronounced dead, according to a statement from the hospital. It said the incident was under investigation. Sherman said in a statement on April 3 that he was driving in his car with daughter when Abdel Fattah “jumped at my car and tried to open the door” and harm him and his daughter. He said Abdel Fattah had a knife in his hand. B’tselem’s report made no reference to an attempted stabbing. 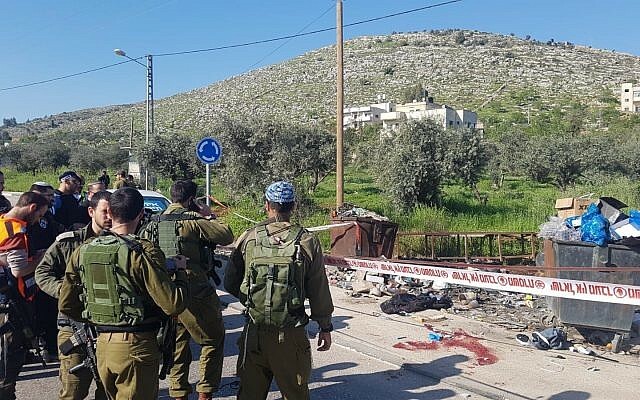 The group’s spokesman Amit Gilutz said that B’tselem had not learned of any stabbing attempt in its investigation of the incident earlier this month. Similar to Sherman, the IDF said on April 3 that Abdel Fattah used a knife to try to carry out a stabbing. An army spokesman, however, declined to provide a picture of the knife. Soldiers also filmed footage of the incident on a nearby shop’s video recording system on their cellphones and then erased it from the recording system, the B’tselem report said. The IDF neither confirmed nor denied B’tselem’s claim that the soldiers had erased footage on the video recording system. Ghassan Daghlas, a Palestinian Authority official based in Nablus, said in a phone call that the IDF should make public the recording of the incident that he said was in its possession. In its report, B’tselem lashed out at the two settlers who, it claimed, fired shots at Abdel Fattah, after he was wounded, and accused Israel’s security services of preventing them from being held accountable. “B’Tselem’s investigation found that, contrary to media reports, Sherman’s shooting of [Abdel Fattah] was unjustified, as the latter had already moved away from the car and was kneeling behind some dumpsters. Moreover, there was clearly no justification whatsoever for the additional shots that Sherman and the truck driver fired at [Abdel Fattah] when he was already lying injured on the ground,” the group said. 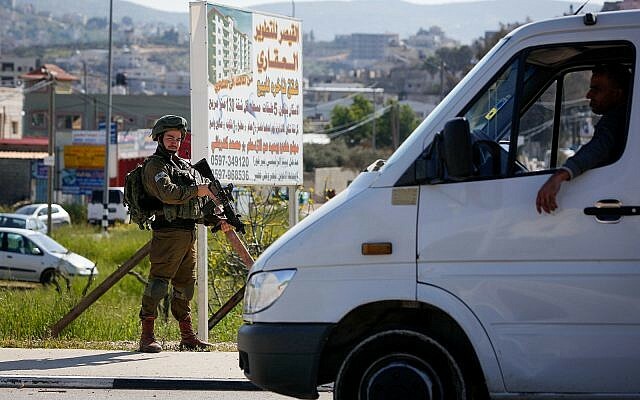 “The Israeli security forces that arrived on the scene ignored these facts. They did nothing to arrest the two settlers, promptly drove the Palestinians away from the scene, and then addressed the urgent task of eliminating any footage of the incident, to ensure that the truth never comes to light and the shooters would not face any charges or be held accountable in any way,” B’tselem charged. An IDF spokeswoman declined to comment when asked whether the two settlers who, according to B’tselem, executed Abdel Fattah had been questioned or would be interrogated in the future as part of the army’s investigation.